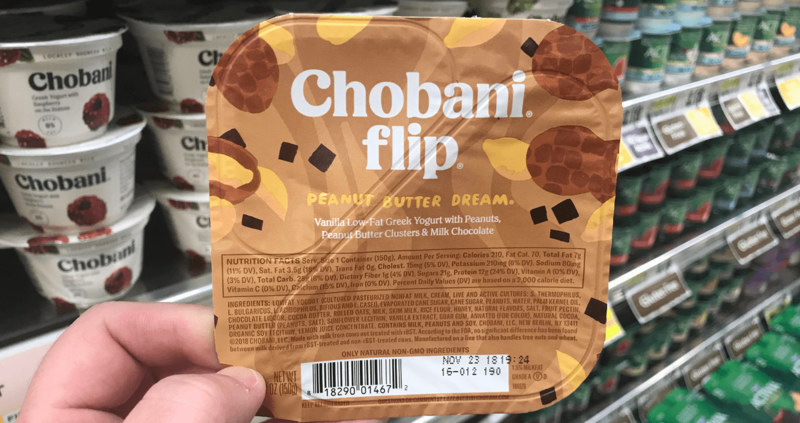 FREE Chobani Flip or A Hint of Flavor Greek Yogurt For Kroger Shoppers! 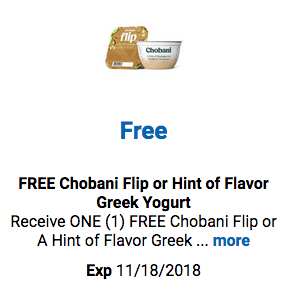 If you’re a Kroger Shopper hurry on over to their website to load a digital coupon to your store loyalty card for ONE (1) FREE Chobani Flip or A Hint of Flavor Greek Yogurt (5.3 oz). Available in most stores. Offer not valid in LA. Once the digital coupon is loaded to your card you’ll have until 11/18/18 to use it. I’m loving these freebies each week – too bad we don’t have Kroger in New Jersey!